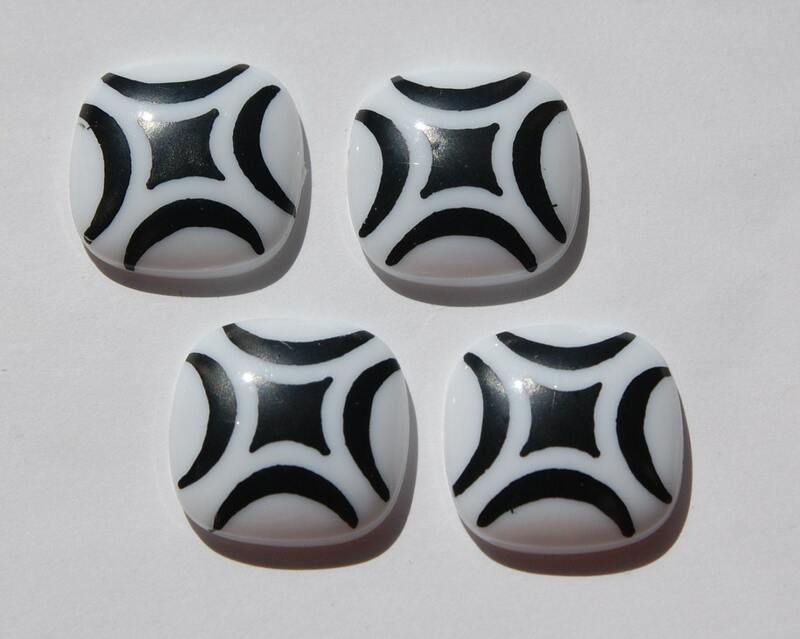 These are vintage white square cabochons that were made in Germany. They have a design that is done in black. 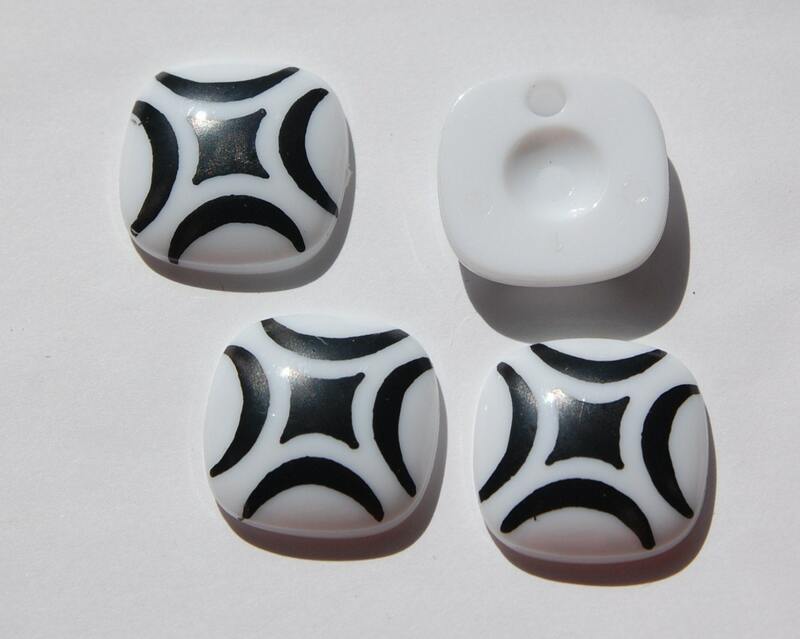 These measure 22mm. You will receive 4 pieces.